The Supreme Court appointments story is suddenly moving fast. This morning we drew attention to Joshua Rozenberg’s blog on the shortlisting and delays. This afternoon, he tweeted that the new justices had been chosen: “Jonathan Sumption QC and Sir Nicholas Wilson to be appointed to UK Supreme Court, I’m told. 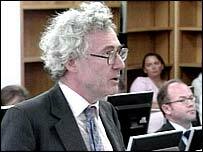 First leapfrog from bar to top court in decades” The story of Jonathan Sumption’s appointment was tweeted by the “Times” later in the afternoon. The twittersphere has been buzzing with the story ever since. There has, as yet, been no word from 10 Downing Street or from the Supreme Court. However, the Times now has a story about the appointments which it says are “due to be announced shortly“. This concentrates on the appointment of Mr Sumption QC, confining itself to describing Sir Nicholas Wilson as “a popular family judge”. Sir Nicholas Wilson is 66. He has been a Court of Appeal judge since 2005 and was a High Court Judge in the Family Division from 1995-2005. 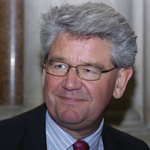 Jonathan Sumption QC is aged 62 and is a former History fellow of Magdalen College Oxford. He was called to the bar in 1975 and became a QC in 1986. We will provide more detailed profiles in due course. It has been suggested that an appointment from the Bar to the Supreme Court “makes legal history”. Well, up to a point. This is certainly the first appointment direct to the Supreme Court but there have been previous appointments from the Bar to the Judicial Committee of the House of Lords. The last such appointment was in 1949 Cyril Radcliffe KC was made a Lord of Appeal in Ordinary. James Reid KC was appointed as a Lord of Appeal in 1948, having been the Dean of the Faculty of Advocates and the Solicitor General for Scotland. In 1921 Sir Edward Carson KC had been appointed a Lord of Appeal (having previously held a number of government posts including that of Attorney-General). Read “Family Court Hell” by Mark Harris and then come back and say if Wilson should be appointed to the Supreme Court. Any judge that was involved in the disgraceful Webster family case (and Wilson sat on the Court of Appeal panel) should not be allowed anywhere near a ‘Supreme’ Court. reasonably content with the way in which [the Family Justice System] usually operates and [he is] proud to have a role in it” should preclude him from being allowed anywhere near a ‘Supreme’ Court. Wilson then told me of his “profound concern” over the Webster case but he did absolutely nothing to help them. His years of “proud” service dealing with family law, and the acres of discretion afforded him, has enabled him to grow in pomposity to the levels hitherto not seen. So for taking the bailing out the Banks regards Bank Charges at the Supremen Court Sumption QC is made a judge at the Supreme Court, only in the UK! Sorry keyboard gone mad, for bailing out the Banks at the Supreme Court, Sumption QC is made a Judge of the Supreme Court,only in the UK! Sir Nicholas is a kind, caring and lovely man without any degree of pomposity at all. He represesents all that is good and just in our legal system. Sir Nicolas Allan Roy Wilson, is a kind and caring man who takes all cases into deep consideration. I am thrilled judge is now at Supreme Court he will do our country proud. Absolutley fantastic man and will never be forgotten. 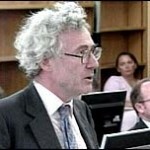 Leave a reply on "Supreme Court New Appointments: Sumption and Wilson"